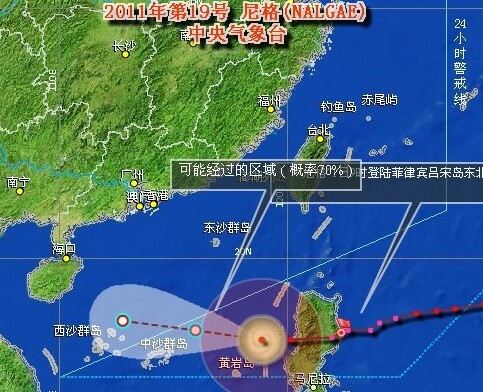 The local weather authority Sunday issued a red alert as typhoon Neglae has gained momentum on the sea near Sanya City. The typhoon was about 960 km east of Sanya City at 5:00 am and is forecast to move northwest at 15 km per hour. The typhoon is expected to make landfall and bring storms to most areas of Hainan Island late Monday. The center warned of flooding and mudslide risks in Hainan as the province was recently hit by typhoon Nesat and Haitang. As the typhoon will land on the island during the National Day holiday, local authorities urged residents and tourists in typhoon-affected areas to make preparations against it or cancel travel activities.